Today we will review the final six early season tournaments involving ACC teams. To see the recap we did covering the first seven such events, click here. The ACC completed a successful Feast Week with two more championships giving the conference a total of five titles in 13 tournaments. This performance should give the ACC some momentum going into this week’s ACC/Big Ten Challenge. With another good week, perhaps the conference will overcome the negative impact from some of those bad early non-conference losses. 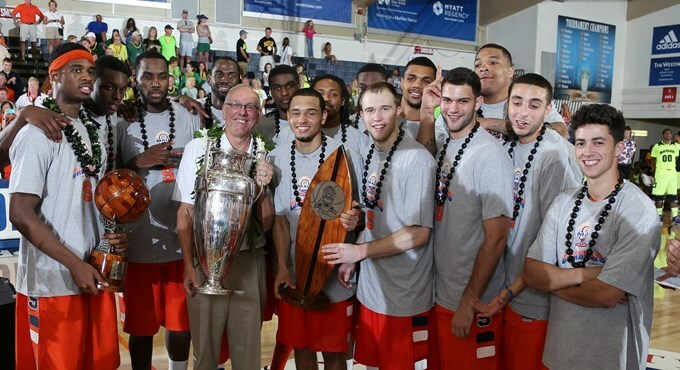 Syracuse Wins the EA Maui Invitational for the Third Time. Syracuse became the second ACC newcomer to win an early-season tournament by beating #18 Baylor 74-67 in the finals of the EA Sports Maui Invitational on Wednesday night. That followed wins over Minnesota, 75-67, and California, 92-81. Senior C.J. Fair was named the tournament MVP while averaging 18 points for the three games and tallying 24 in the finals. Also impressive was freshman point guard Tyler Ennis, who scored 28 in the semifinals over Cal, and had an outstanding 18 to two assist-to-turnover ratio for the tournament. With the Orange’s third Maui championship along with Pittsburgh’s title in the Progressive Legends Classic, the new ACC schools are serving notice that they are ready to compete at the top of their new conference. Duke did not fare as well in the other marquee Feast Week event, the NIT Season Tip-Off in New York’s Madison Square Garden. After beating Alabama 74-64 in Wednesday’s semifinals, the Blue Devils fell to #4 Arizona, 72-66, in Friday’s championship game. Coming into the week Duke’s defense had been struggling mightily and was the focus for improvement by Mike Kzyzewski. The Devils did look much better on that end of the court against good competition, but another glaring issue has not been resolved. Duke is still searching for production from its primary big man position – Josh Hairston and Amile Jefferson combined for only two points in a total of 69 minutes over the two games. The final ACC early season tournament champ was Virginia. The Cavaliers went to the state of Texas and won the Corpus Christi Challenge by thumping previously unbeaten Missouri State, 83-63, on Saturday. 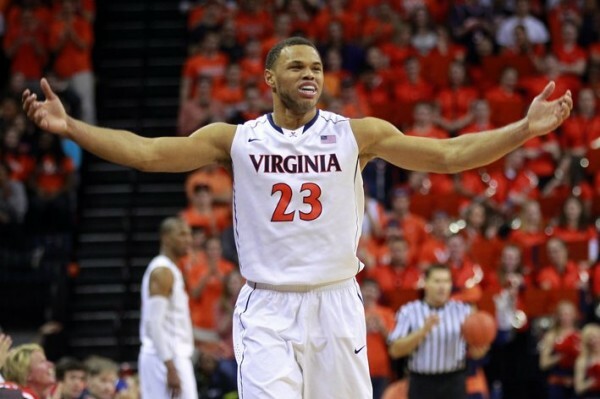 Friday’s opener against SMU was much closer as Virginia prevailed, 76-73. The key to the winning weekend was Virginia’s bench play as the Cavs got 72 points from non-starters in the two games combined. That included Justin Anderson’s 23 points in 23 minutes on 10-of-13 field goal shooting in the championship game. Wake Forest entered the Battle 4 Atlantis tournament in the Bahamas with a 5-0 record, albeit against weak competition. The Deacons acquitted themselves well in the opener against #2 Kansas on Thanksgiving Day, falling 87-78. Codi Miller-McIntyre exploded in the second half for 20 of his 26 total points, helping Wake cut a 14-point lead down to four before the Jayhawks pulled away at the end. On Friday, Wake’s defense led the way to a comfortable 77-63 win over USC, holding the Trojans to 39 percent shooting for the game. Wake Forest couldn’t keep the momentum going, however, getting dominated Saturday by Tennessee by a score of 82-63. Miami’s Feast Week experience was the opposite of Wake Forest’s, as the Hurricanes played their best in their final game of the Wooden Legacy in Anaheim, California. Sunday’s 60-57 win over Arizona State capped a 2-1 performance in the tournament. Miami lost its opening game Thursday to George Washington in overtime by a 71-63 score. Garrius Adams scored 15 points in a 10-minute stretch to lead Jim Larranaga’s team back from a 12-point second half deficit before the Colonials put them away in the extra session. On Friday, Miami slugged its way to a 48-46 win over the host school, Cal State Fullerton. As expected the Hurricanes are playing much better defense than offense at this point in the season. Another ACC team struggling to score last week was Georgia Tech. The Yellow Jackets were disappointing offensively in dropping both of their games in Brooklyn’s Barclays Classic. While shooting a paltry 36.5 percent from the field in Friday’s opener, the team fell to Ole Miss, 77-67, in a misleading final score. The game was really not very close as the Rebels had an 18-point lead cut to 10 in the final 1:47 of play. Saturday’s loss to St. John’s 69-58 featured more offensive woes. Again shooting was bad at 37 percent for the game, and the Jackets had a stretch in which they had zero field goals for 11:39 of the second half. In fact no Georgia Tech player was able to make it to double figures for the game. Overall, the ACC has to consider this early season tournament performance a success. This season’s five titles matches the conference’s total for the previous three seasons combined. The irony is that the league did it without Duke winning one this year, breaking the Blue Devils’ string of six consecutive early season tourney titles. Now the league goes into the ACC/Big Ten Challenge with a chance to sway national opinion regarding the overall strength of the ACC, an opinion that is certainly still very much in question. This entry was posted on Tuesday, December 3rd, 2013 at 9:20 am by Brad Jenkins (@bradjenk)	and is filed under acc, microsites. Tagged: barclays classic, battle 4 atlantis, Corpus Christi challenge, duke, early season tournaments, feast week, georgia tech, maui invitational, miami, nit season tip-off, syracuse, virginia, wake forest, Wooden Legacy. You can follow any responses to this entry through the RSS 2.0 feed. You can leave a response, or trackback from your own site.